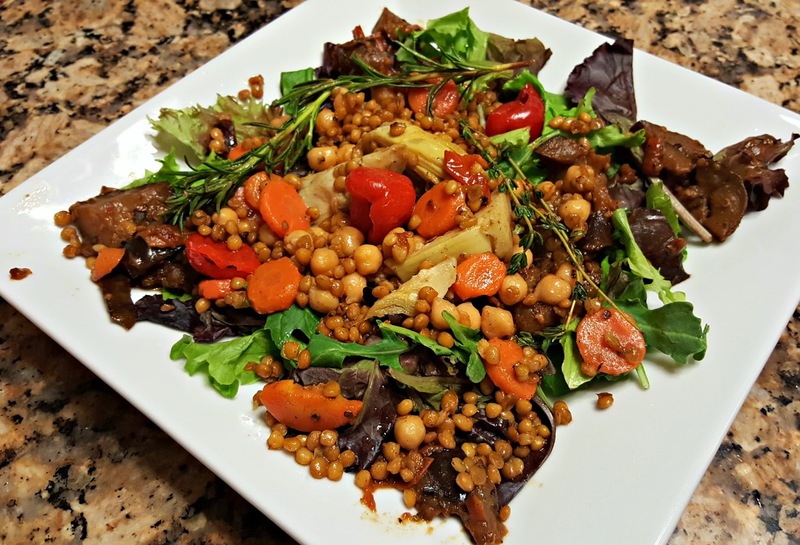 So a salad is supposed to consist mainly of veggies, but I never fail to have some kind of seafood or meat to make it more satisfying. With the national movement to consume less animal product, I've created a vegan salad consisting of eggplants, tomato, artichoke lentils and chickpeas. Surprisingly, it was pretty good! 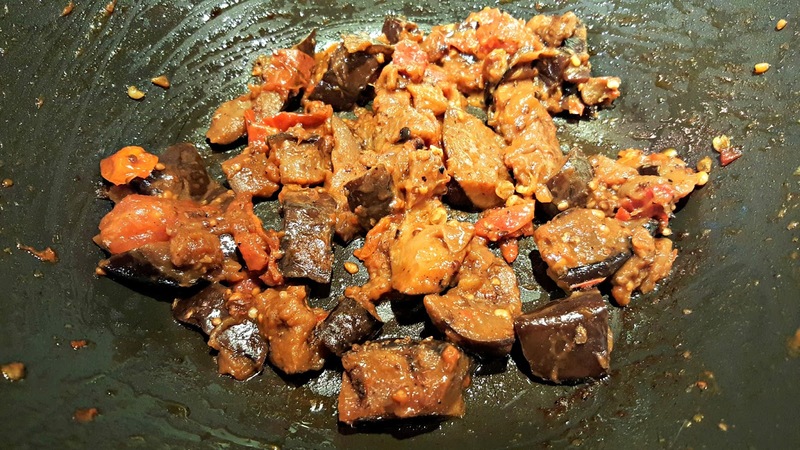 *Disclaimer, the eggplants used WAS grilled on the same surface along with other meat products. After the eggplant was grilled, I simmered it with water, onion and fresh tomato medley of red, brown and yellow tomato. 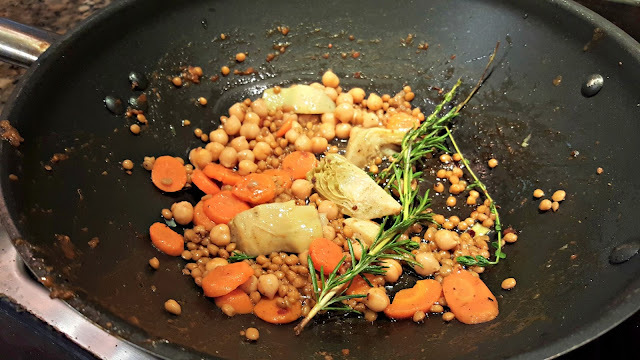 In another saucepan, I sauteed garlic, olive oil, rosemary, thyme, 1/3 cup of canned lentils, 1/3 cup of canned carrots, and 1/3 cup of chick peas. Once the mixture was cooked for a few minutes, I turned off the heat and let it cool. 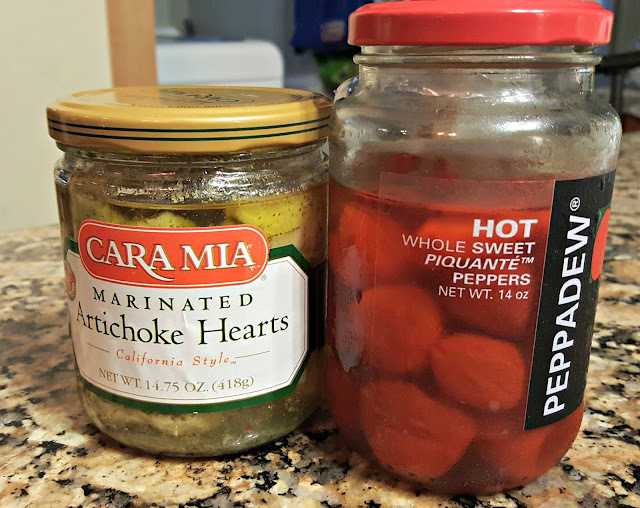 I found some peppadew peppers and marinated artichoke hearts in my pantry. 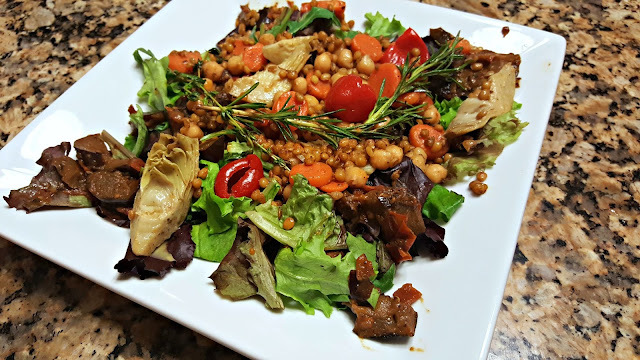 Plate 2 loose cups of field greens on a plate (or bowl) and top with the eggplant/tomato and sauteed lentils and chick peas. Top off with Marinated artichoke hearts and peppadew. No dressing necessary! The sauteed eggplants and lentils should be oozing with flavor!